It was that time of year again where social media gurus and geeks met up at Kennesaw State University’s SOCON event – the annual un-conference – on all things related to social media and journalism (and beyond). Organized by KSU’s Center for Sustainable Journalism (@csjournalism) sponsors included Sweetwater Brewery, Appcelerator, Avax Consulting, Social Butterfly, and more. Law2sm was a proud sponsor this year. For a full list of sponsors and an agenda check out their website http://socon12.com/. If the CEO doesn’t get it, give him an iPad to use for the weekend. So what can we do? Find translators that will transform sense-making content into creative visual data that everyone can understand and grasp quickly, accurately and affordably. Visual storytelling with images, animation and sound design (see http://www.radiolab.org/). What good is your data if no one understands it? So make information accessible via the visual. 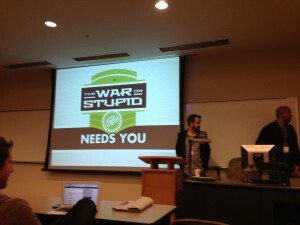 Check out www.mywaronstupid.com and follow them on Twitter @thewaronstupid for more. After a delicious lunch at the KSU cafeteria, I attended “Social Media for Advocacy: Using Next Generation Tools to Spread Awareness and Influence Policy” presented by Hafez Adel, Director of Marketing at ReTargeter. (http://www.retargeter.com/) This was one of the best presentations I have been to in a long time. He was organized, the information was clear and valuable and his style was flawless. If you have a chance to hear him at an event, do it. Hafez laid out various examples throughout history (starting with the Protestant Reformation, which he calls the “birth of social media” to the Occupy Movement) to show what social media lessons there are for all who use social media to advocate for a cause. There were many presentations I did not attend but heard they were also valuable. 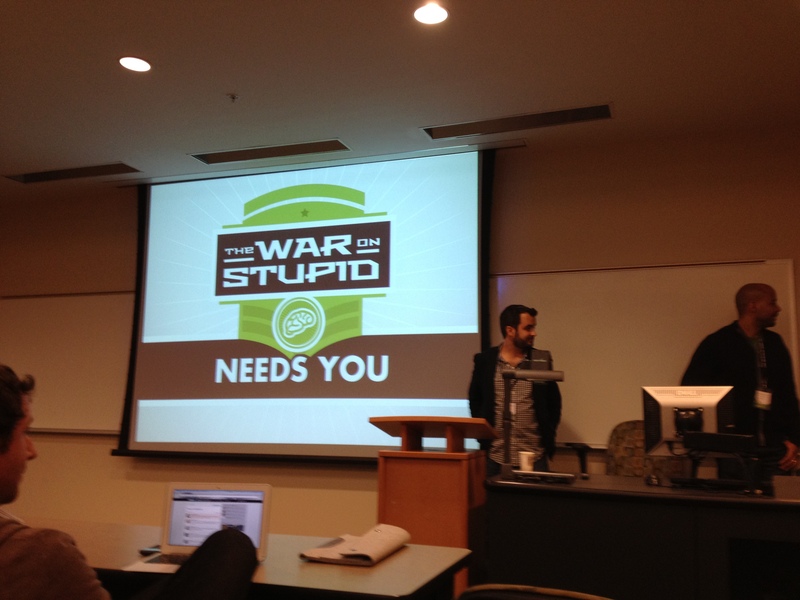 If you were at SOCON share your insights form the presentations with us. See you next year at SOCON13!